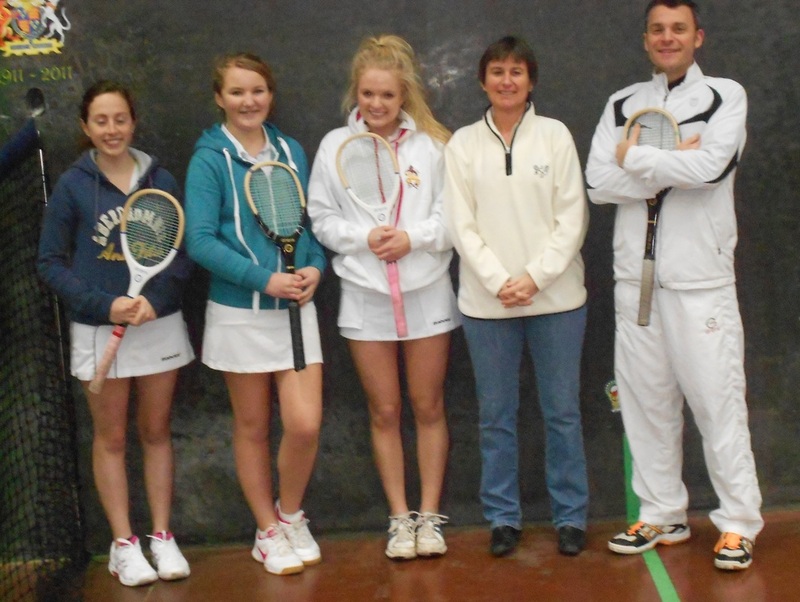 This coaching programme has been introduced to help selected young women players to improve their game. 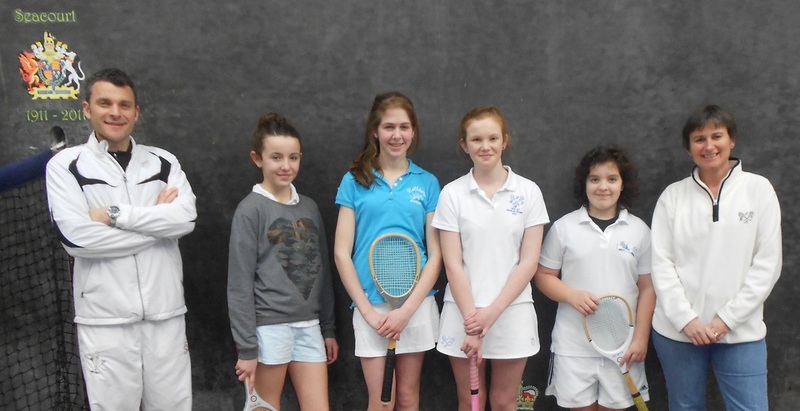 From the entrants in the U21 Handicap tournament and LRTA bursary recipients, 8 girls were invited to take part - Annie Fountain, Hannah Parry, Felicity Sargent, Hattie Shearman, Mollie Thomas, Phillippa Twohig-Howell, Anna Willis and Georgie Willis. Three sessions in February, March and April were offered, all to take place at Seacourt. The girls work in two groups of four, one in the morning and one in the afternoon. The sessions will initially focus on forehand/backhand ground strokes and forehand/backhand back wall progressions, match play and tactics and will develop further. In addition there is footwork and agility work led by Bruce Gordon. It is also hoped to hold a final “tournament day” in the Summer so that the participants can put what they have learnt into practice. A two day Summer camp is also currently being explored. Alex Garside, our current Chairman, has been instrumental in introducing and organising these coaching days with help from Jill Newby. They are part of our commitment to increasing participation by and support for young women players alongside our donation to the Dedanists’ Foundation. I liked the fitness as it gave me more knowledge about how and why it is done. The skipping was also good as you can do this if you are not able to go for a run. The coaching was good as it had variety and helped with the game. 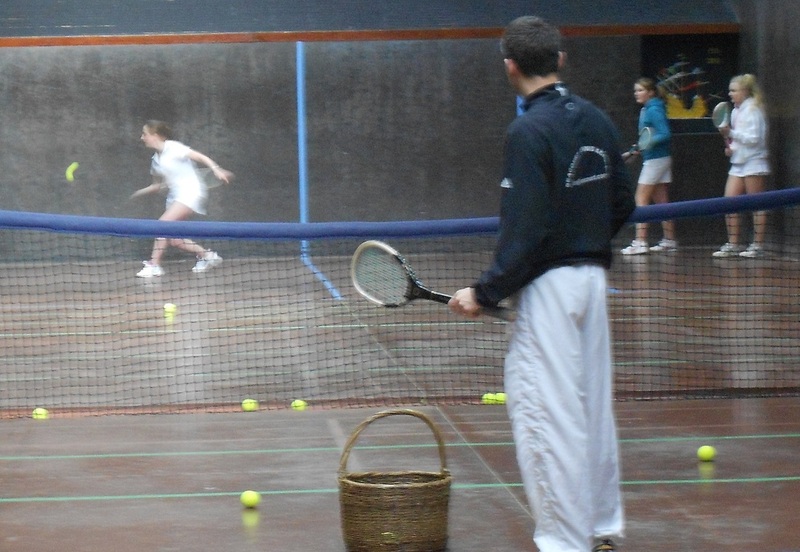 It was good having long sessions as you could work for longer and get into a groove practising a shot. 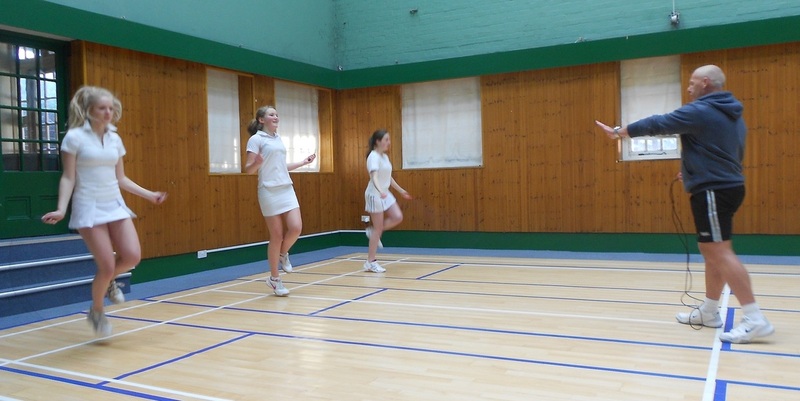 The fitness exercises we were given were relevant to real tennis. Many thanks to Jessica Garside who took most of the photos. I'm sorry we are not able to identify individuals in the captions, but we are advised this might contravene Child Protection guidelines. Some of the participants with Dan Jones and Alex Garside looking forward to their first session. Starting work on the forehand. And other participants with Alex Garside and Dan Jones. Work on footwork and agility is fun when you're watching! Bruce Gordon supervises further footwork and agility training..